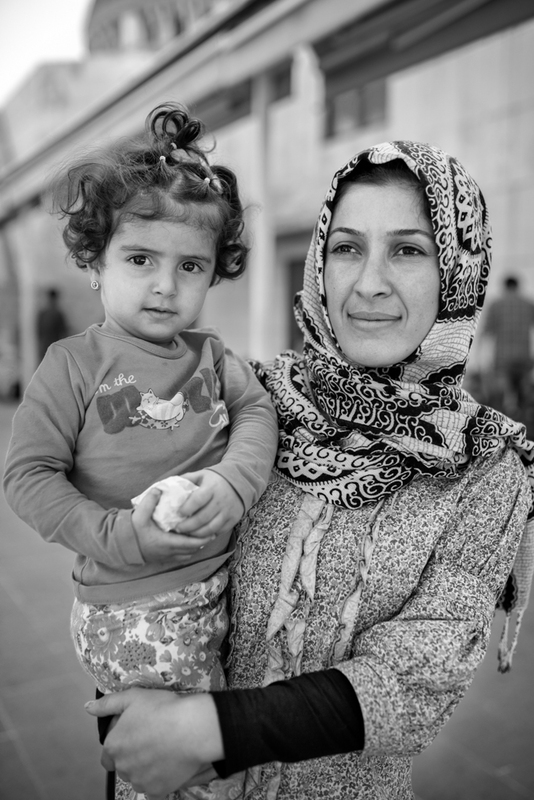 There are between 1.5 and 2 million Syrian refugees living in Turkey, more than in all the EU combined. Most of them, however, reside there as guests under a temporary legal status, and see Turkey mainly as a transit-point to Europe. 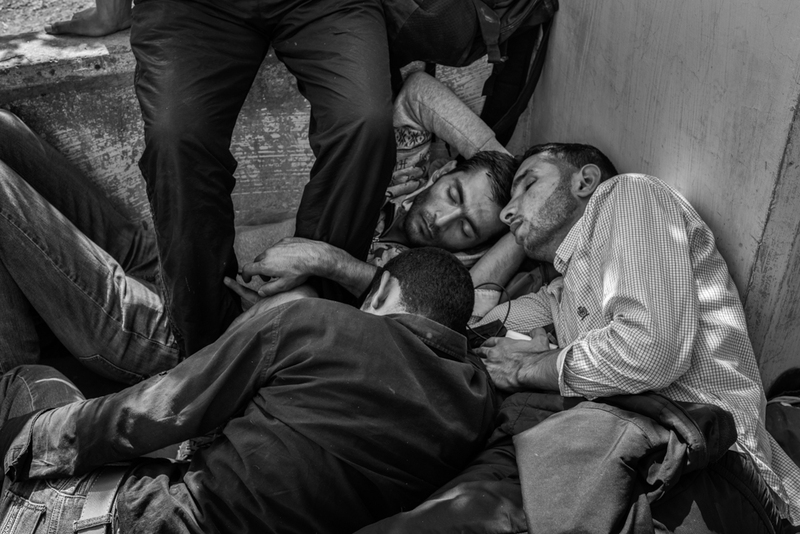 In Istanbul, crowds of refugees huddle on the streets of Aksaray neighborhood every night waiting for a call from their smuggler so they can head towards the shores and embark on the perilous maritime crossing to the Greek islands. 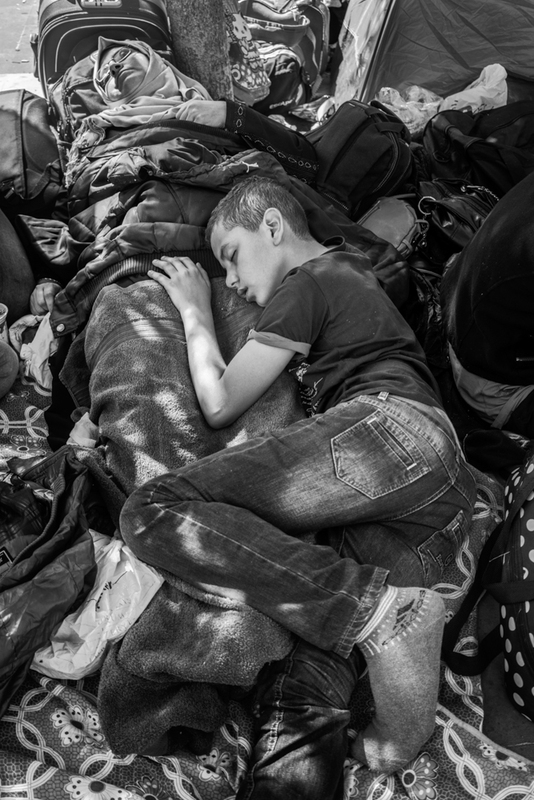 In mid-September, 2015, a group of around 500 refugees—organized through a Facebook group called Crossing No More,—held a sit-in in Istanbul's bus terminal at Esenler. They demanded that Turkish authorities let them board buses towards Edirne, so they could reach Greece by land and avoid the known and preventable dangers of the Aegean crossing. 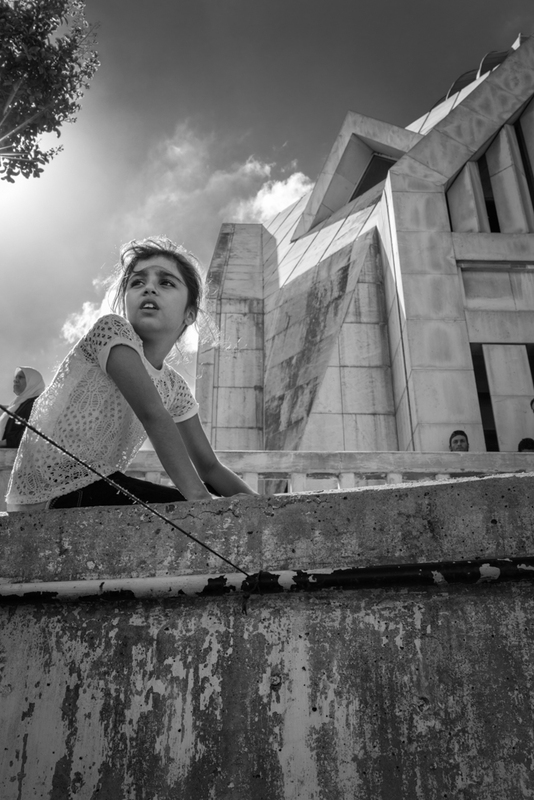 Many had nearly made it when they were turned back to Istanbul by Turkish law-enforcement. The bus station became a temporary shelter for the group that was stranded there for several days demanding a solution to their plight. They were eventually evicted. 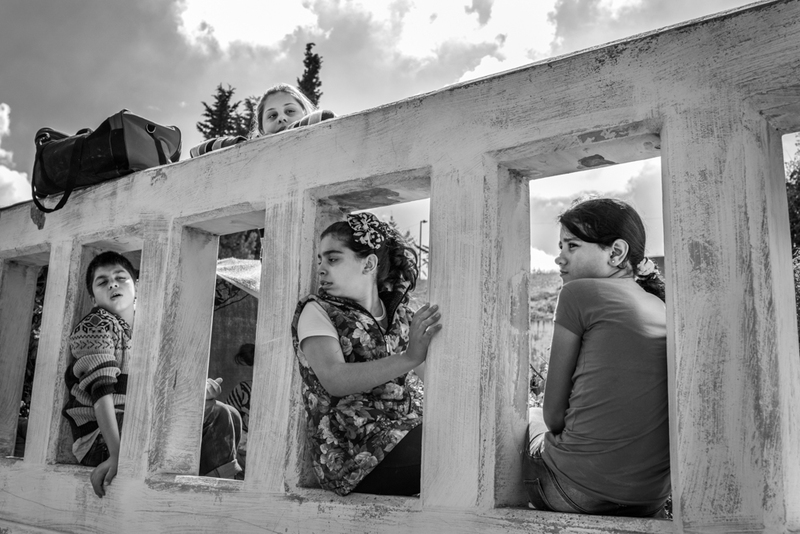 Syrian children watch as a demonstration organized by the Facebook group Crossing No More is held in Esenler bus terminal. 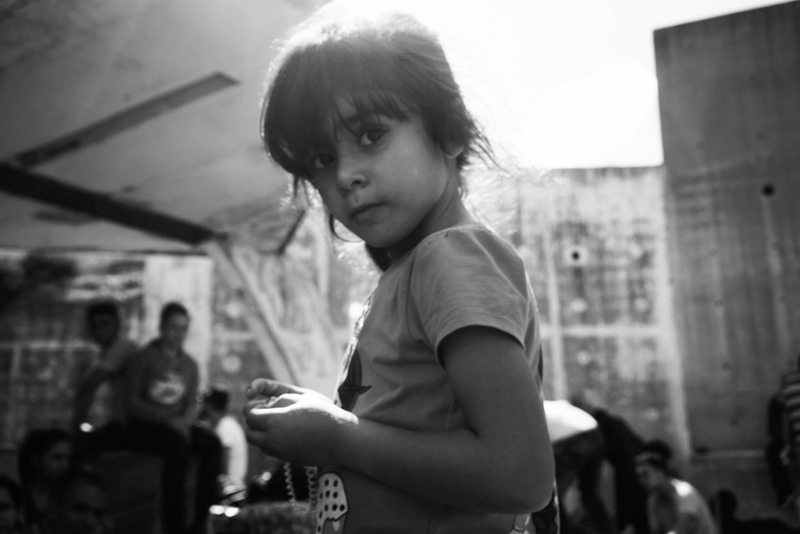 A Syrian girl stranded at Esenler bus terminal. 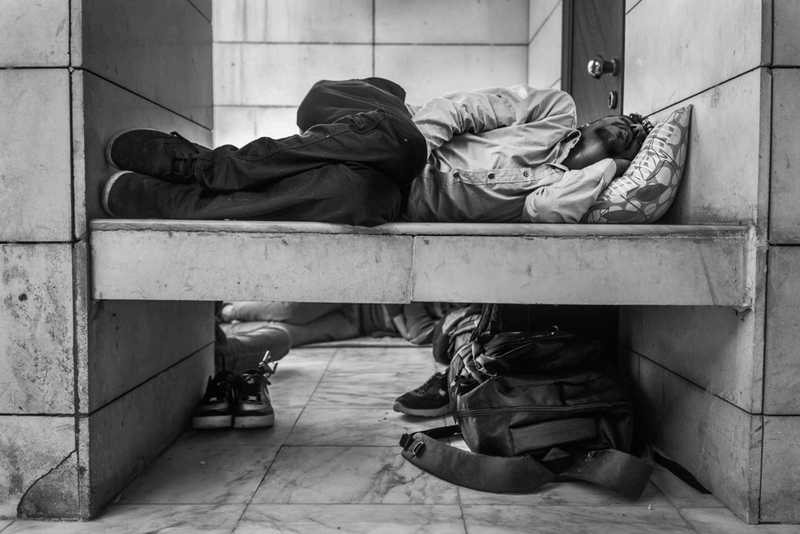 An exhausted refugee sleeps at the courtyard of the bus station's mosque. 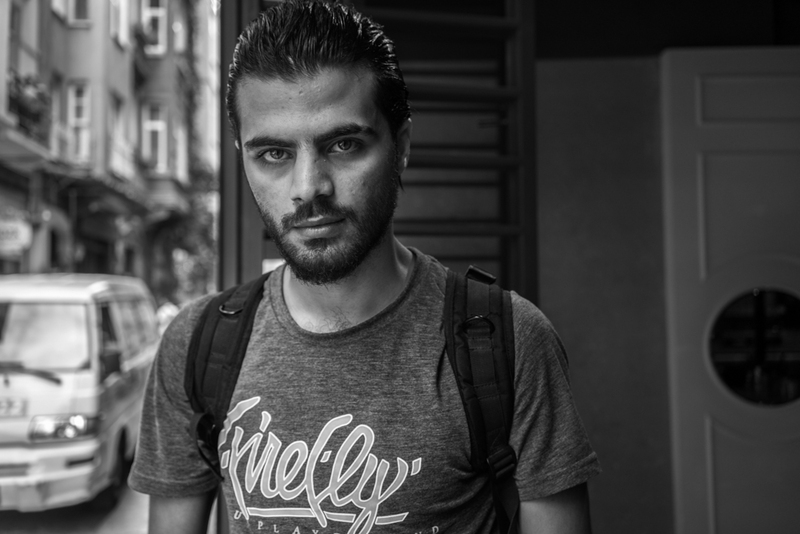 Ahmad al Abdo, a Syrian refugee who escaped Al-Nusra Front [Al-Qaeda in Syria], made arrangements in Istanbul before heading to the Aegean coast to cross to the Greek islands. 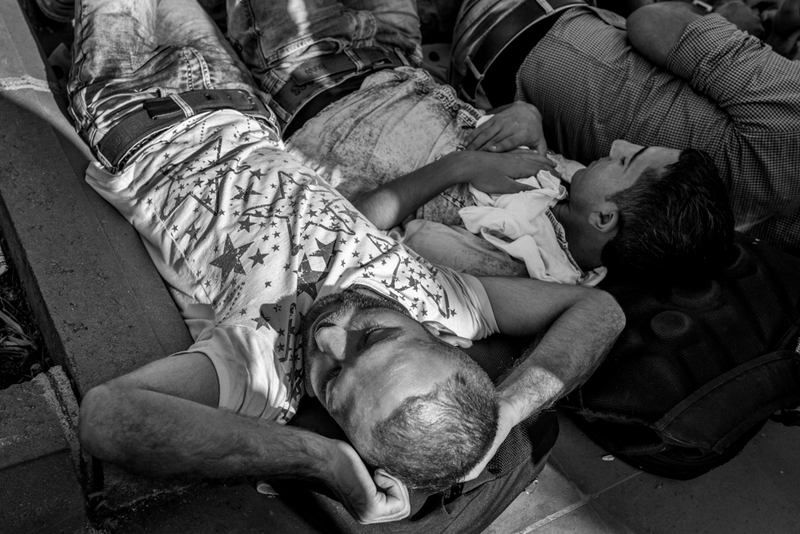 Young men take a nap at the bus station where they waited in vain for a safer way to cross to Greece on their way to northern Europe. A Syrian family from Homs participate in a sit-in at Istanbul's bus terminal. According to the father, Abu Mohammed, their house was destroyed in 2012, forcing them to seek refuge in a refugee camp in Turkey where they lived in a tent for the past three years. 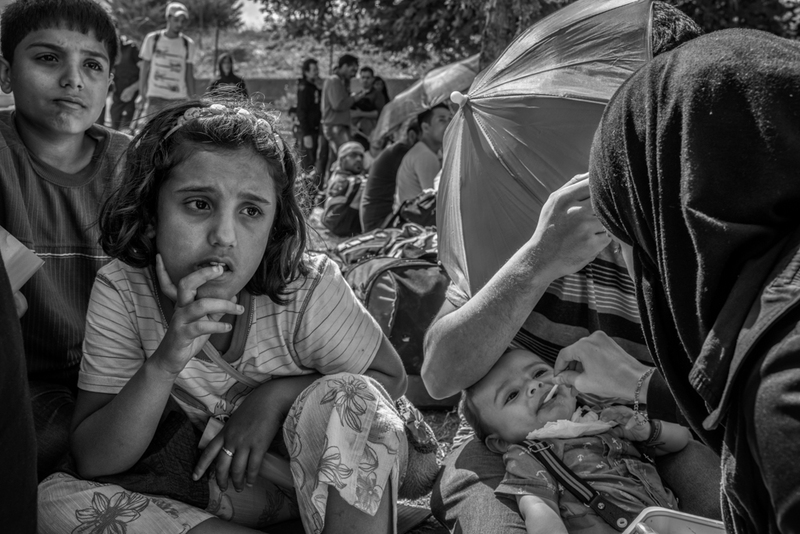 A Syrian girl looks on as hundreds of refugees demand a safer route to Europe. 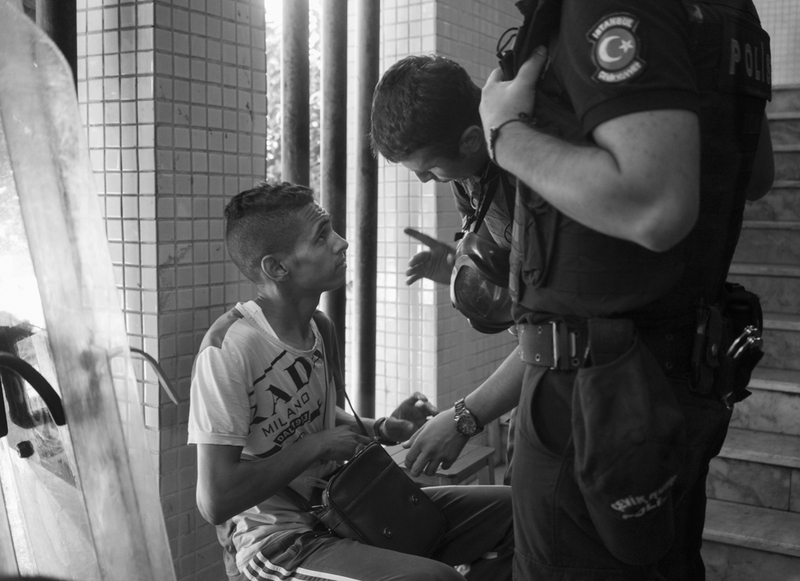 Turkish Police search a Syrian refugee. Turkish law-enforcement in general tend to turn a blind-eye on illegal migration, deliberately abstaining from controlling their maritime border with Greece. 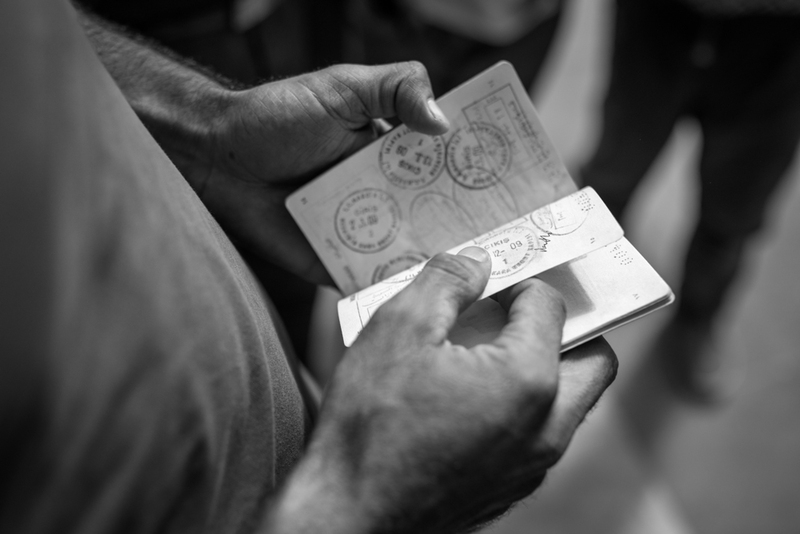 A Syrian refugee shows multiple Turkish entry stamps in his passport. 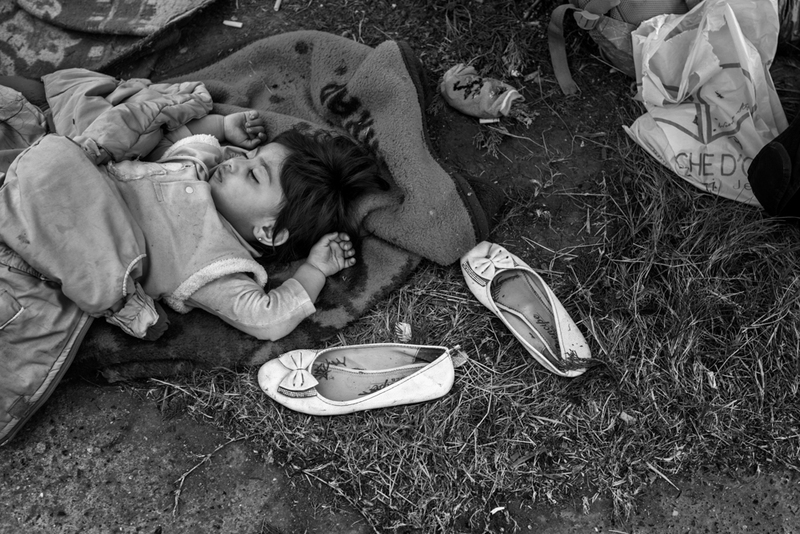 A Syrian girl sleeps at Istanbul's bus terminal. 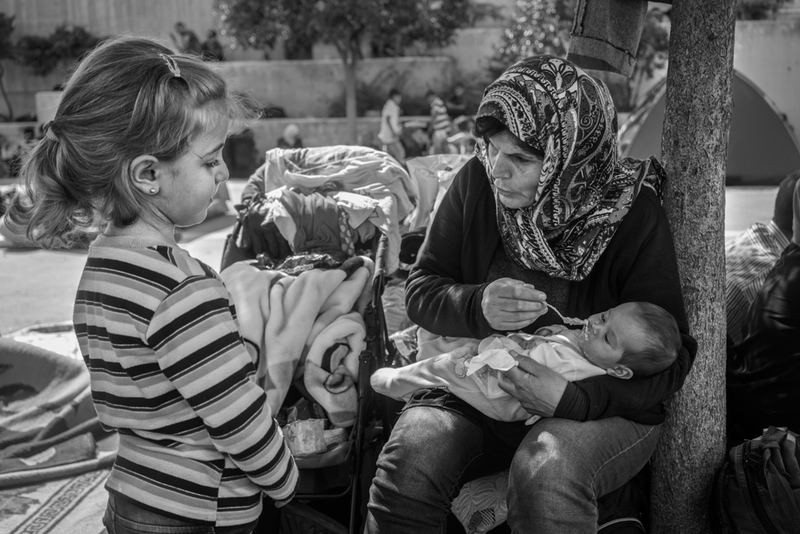 A Syrian mother feeding her baby boy and speaking with her daughter. 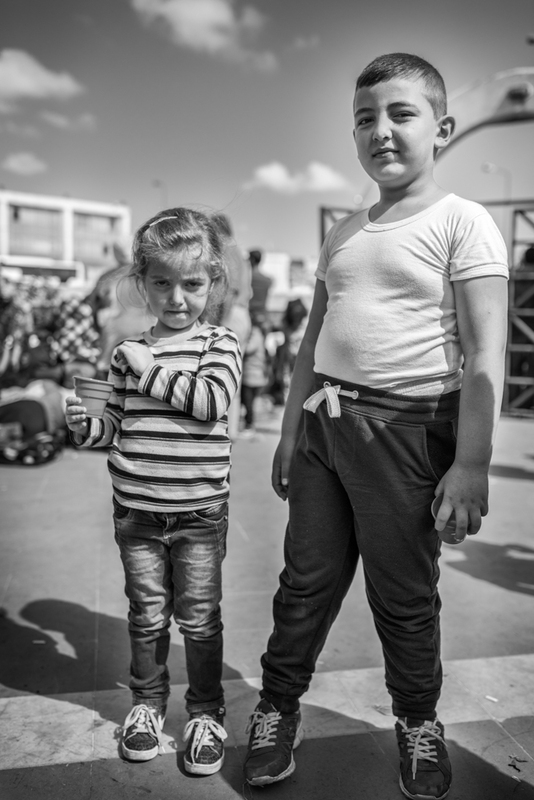 Syrian children at Esenler. Most famillies at the bus station escaped war-ravaged regions and did not have the means to pay a smuggler to cross to the Greek islands. 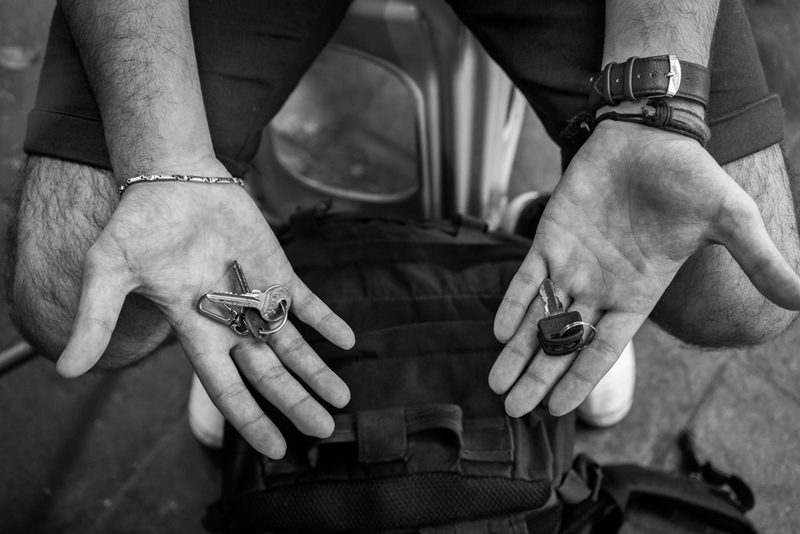 Among the few posessions Ahmad al-Abdo carries are the keys to his house in Idlib. Dreaming at the bus station.